AFC PLAYOFF PICTURE (Through Week 11) | "IT'S A STEELERS WORLD"! In a perfect “Steelers World”.. the losses of the Browns, Bengals and Ravens would be lovely to aid in the Pittsburgh Steelers playoff run. But as we all know this is the NFL, where nothing is handed to you on a silver platter. The Steelers must do what they have to do to solidify their spot on top of the AFC North. Here’s a look at how the AFC’s top 12 playoff contenders stack up after Thursday night. The NFL’s standings and tiebreaking rules are enclosed as resources, as are team-by-team schedules. 1. New England Patriots (8-2, .800). AFC East leader. Earns first-round bye, home-field advantage. 2. Denver Broncos (7-3, .700). AFC West leader. Earns first-round bye. 3. Cincinnati Bengals (6-3-1, .650). AFC North leader. Host Chiefs in wild-card game. 4. Indianapolis Colts (6-4, .600). AFC South leader. 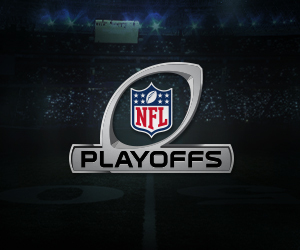 Host Steelers in wild-card game. 5. Pittsburgh Steelers (7-4, .636). Wild card No. 1. Hold No. 5 seed on basis of superior AFC record (6-3) to Chiefs (5-3). 6. Kansas City Chiefs (7-4, .636). Wild card No. 2. 7. Miami Dolphins (6-4, .600). Hold No. 7 seed on basis of superior AFC record (5-2) to Chargers (5-3) and Ravens (3-4). 8. San Diego Chargers (6-4, .600). 9. Baltimore Ravens (6-4, .600). Seeded ahead of Cleveland on basis of head-to-head win in Week Three. The teams meet again in Baltimore on December 28. 10. Cleveland Browns. (6-4, .600). 11. Houston Texans (5-5, .500). Seeded ahead of the Bills on basis of Week Four victory over Buffalo. 12. Buffalo Bills (5-5, .500). legit is right, just have to own up to the reputation of the Steeler Nation…STEELERS RULE!! !